The Singing Snake John Long 1932 Jan 32. DW 7/6. 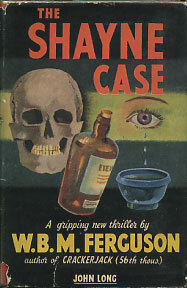 William Blair Morton Ferguson, born 1918 to 1967, was a pseudonym of William Morton. The main repeat character is Dan Cluer.